Shared Topic – Rats an Turtles and Pinchy, Oh My! If you love it: Why? Where’s your favorite spot to go drop a line and veg while waiting for a strike? If not: Why not? What would make it more fun? Or is there a way to make fishing fun? I cannot express how much fishing I have done to farm this and to be honest, I have give up. I went through a phase where I was determined to not stop until I got it, but after the 3rd straight month of fishing pools to get it whenever i was online, I gave up. No matter how much I want the mount! 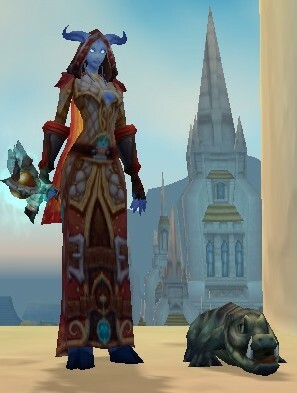 My crocs, I try to remember to head to shatt for the daily to see if I can get the other and to be honest I did just get Snarly last week 🙂 So it will slowly happen I am sure, but it has been a long time since I scored the pet from that daily. I got my first one soo long ago I can’t honestly remember when – I think I have had him since Wrath when I actually started to level my fishing seriously. 1 of 4 crocolisks - Chuck - isn't he the cutest! 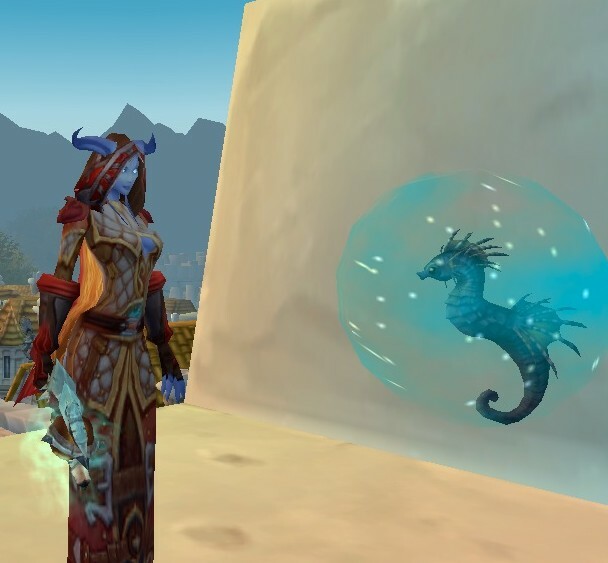 I scored my sea pony from the Darkmoon Faire in about 10 minutes of fishing – maybe 15 actually. I remember standing on a rock thinking there were too many people near me, so I took a water waking potion and went of to a rock in the middle of nowhere, about 3 casts laster voila! 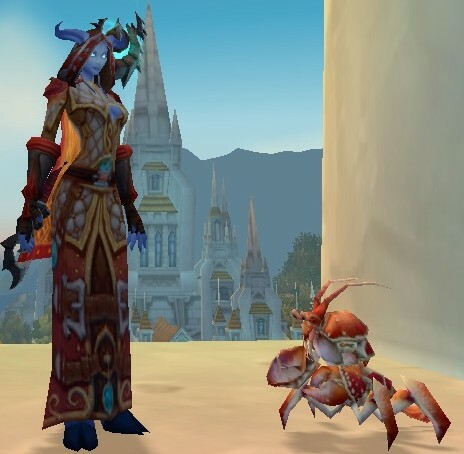 I got my strand crawler from a fishing daily bag in Dalaran…and was a little excited for a free pet – who doesn’t love freebies. The little bubbles he blows are just too cute…I really do love the little animations in the game. My magical Crawdad was another pretty quick and easy loot, I remember deciding I wanted to start getting my fishing up and more seriously collect mini pets. What a good way to combine them by starting to fish for Mr Pinchy, so I trundled off to Skettis one day and found a pond to fish from. After about 30 minutes I had scored mr Pinchy and on my first pinch I got my pet. Thank you very much! I must have been carrying my four leaf clover on that day. The sewer rat of pain as I like to call him – took me forever to get. 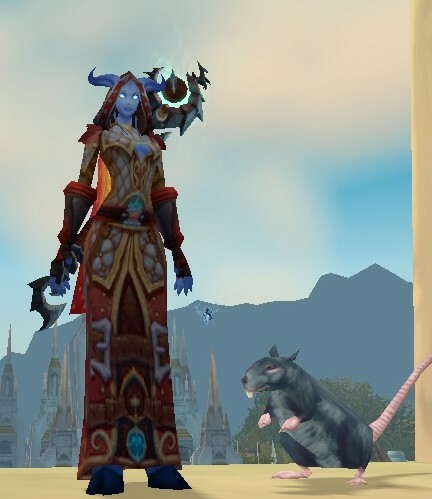 I spent every spare second i could in Dalaran fishing for this damn rat. Even if i only had like 3 minutes I would go and get some fishing done, I once spent an entire Saturday doing nothing but drinking the potions, turning into creatures, screenshotting and fishing. I didn’t win him that day. I did win him a few weeks later as I was organising a raid, suddenly there he was 🙂 You all know that feeling, the complete happiness of knowing you ever have to fish there again!! Giant Sewer Rat - Days of farming finally paid off. I basically never got my fishing up as it was just too hard to concentrate on, I would end up watching trade or guild chat and invariably end up doing other things. I would probably never have maxxed out my fishing had it not been for achievements. My OCD kicked into high gear when they came out – I have relaxed a fair bit on them now to be honest, but if I had the time I would probably go mental on them again. Fishing was my only profession not maxxed, so I set about fixing that. I started of in SW – fishing in the fountain in the mage quarter – I don’t think you can get fish in there anymore. Once I got my level high enough, I started doing dailies where I could and chasing pets etc to get it further. I honestly enjoy fishing now, but only if I am not thinking about the hundreds of others things I could be doing to improve my toon that adds more value. I don’t like fishing in pools though – if everything was open water but specific areas or something I would be into it more. 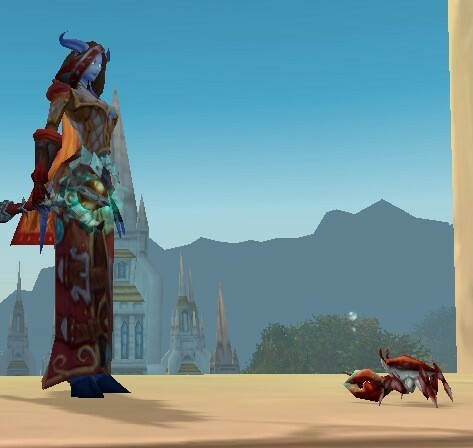 At this stage there is no way I could level fishing on another toon, however I may need to on one of my horde toons so I can at least have it there for necessity. 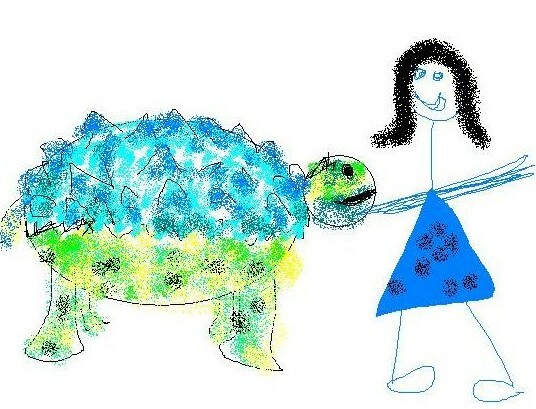 One day I will get my turtle mount. Once day! Check out some of the other threads on this topic! Thanks for the luck, perhaps I shall attempt to get it again this month. o.O luck bobbers would be sweet!! 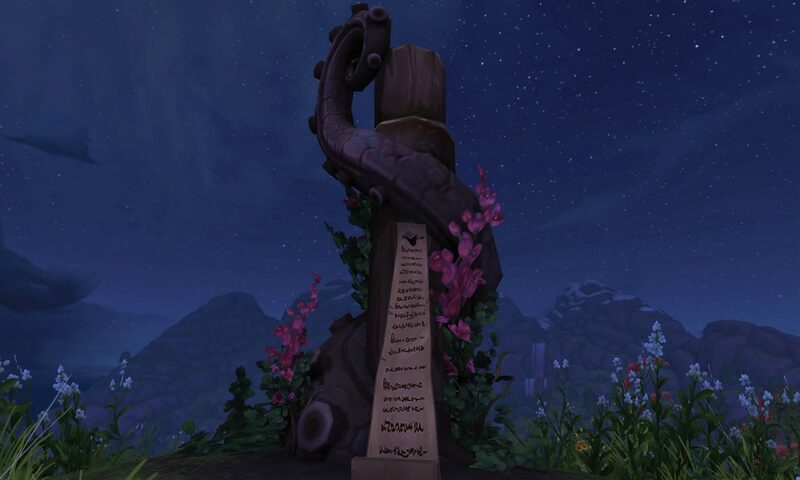 I’m pretty sure now that you’ve given up on the mount you’ll randomly catch it after your third cast in a pool.. That’s often how these things go with me – just like when you’re looking for something you’ve lost at home you can never find it, and when you no longer need it you randomly find it. Hurr! 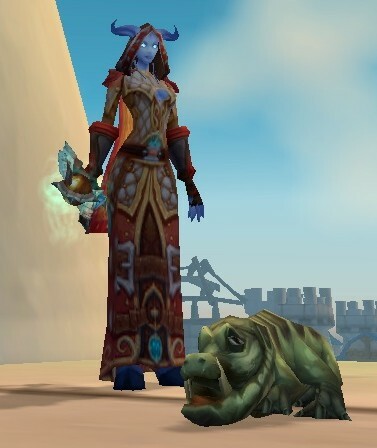 Congrats on the other rare pets you’ve fished up, though, that’s quite the handful! I myself only fished up my pony after the 300th cast, but I love his little bubble now! Thanks for the paint love :p I agree with you on the random thing – murphys law really 🙂 everything happens when you least expect it.